What's next after the WeCoMed Magic Makeup Remover? 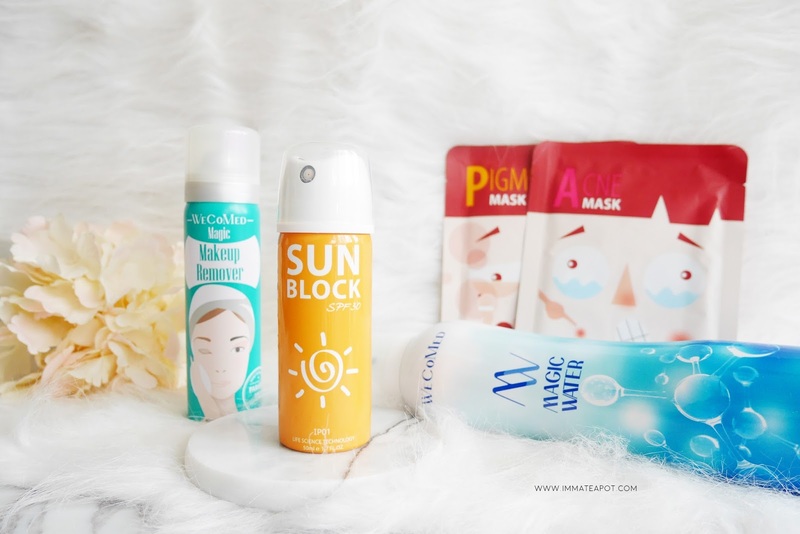 Sunscreen in spray, Magic Acne and Pigment Mask sheet, Magic Water mist and GIVEAWAY! Here are some quick update on my current skincare routine with WeCoMed. 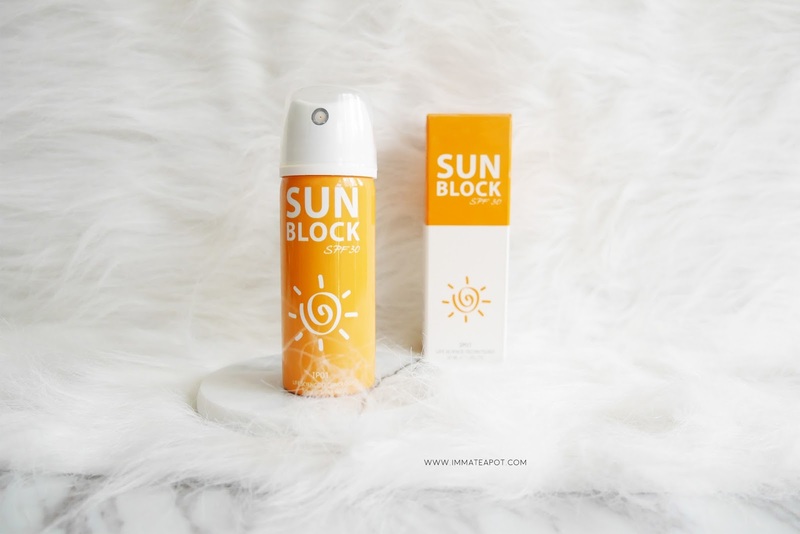 We have heard about foundation in spray form yet this is the Sun Block Spray! Sunscreen that comes in compact size which is superb travel friendly and the packaging color is so neon in orange, with minimal design, playing with typography and illustration. It comes in liquid form in slight light skin color, that gives a sheer thin finish, without any oiliness or stickiness. It also comes with a light fragrance scent, something sweet and floral. Personally, I am amazed by its innovative technology. I love how it evens up my skin tone, while protecting my skin from sun damage. It works really well as a primer, that gives a light matte finish to my skin, without drying up my skin. Yet, I don't really like how it messes up my hair, leaving my skin with some white powdery stain with the application. It's definitely a plus point if it comes out with few more shades for daily natural look, as in the picture, I look slight pale in the shade. It is still a good choice for daily look, if you opt for something quick and minimal, with full sun protection yet less coverage. 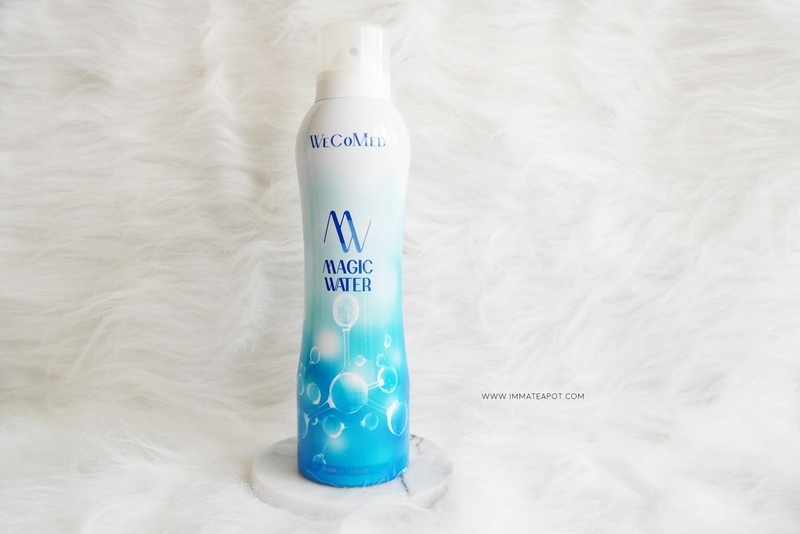 This is just another item I keep in my office desk - Magic Water Mist, which I have blogged about earlier. Link here. FYI, it is a multipurpose water mist, that can be used on your skin or body, anywhere! Even mouth and eyes. It helps to soothes and hydrates the skin, while doing some oil control action and reducing irritations . Besides, it helps to cure bad breathe as well as removing stinky scent from your armpit or genital area. I love how it soothes my skin, especially in such an air conditioning area. Unlike the usual fragranced-mist, it comes with no fragrance, yet some light medicine aroma. 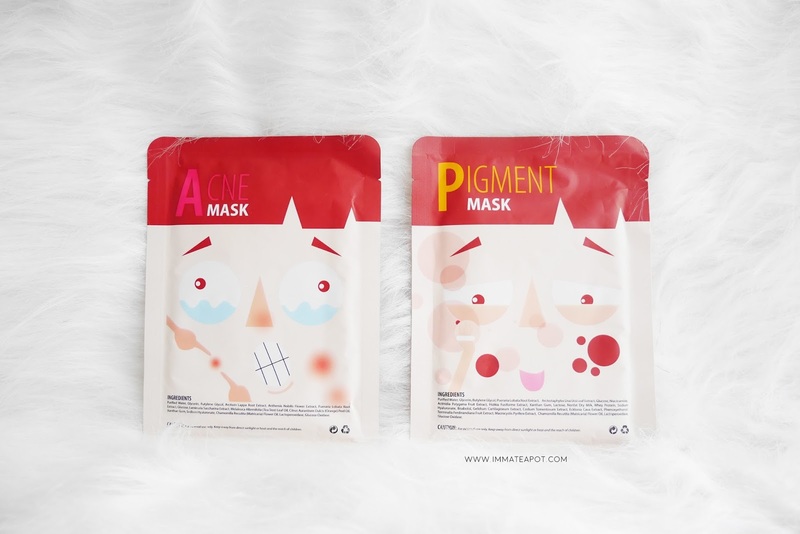 Here are the two cute little mask - Acne and Pigment Mask. I am just loving the packaging itself, clearly showing the skin condition with cute character illustration on! 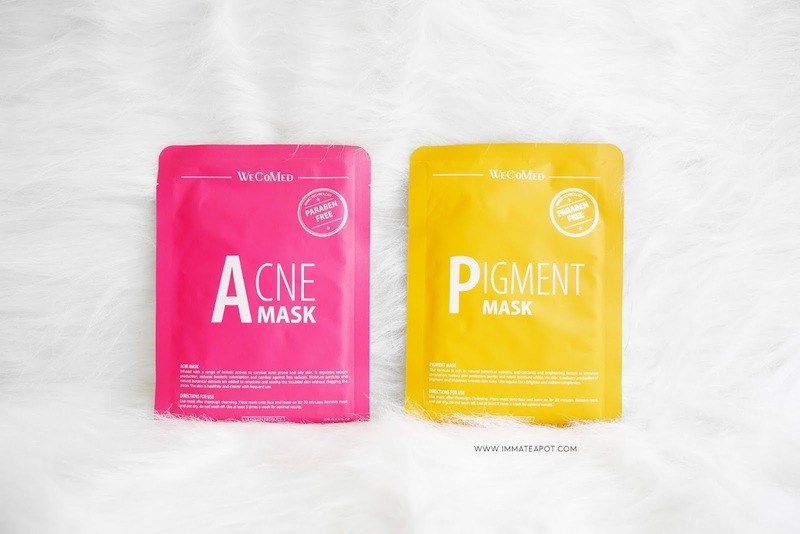 Both mask are proven with paraben free! Safe to use. Infused with holistic actives ingredients that helps combating acne prone and oily skin. It helps regulating sebum production, reducing bacteria colonization and fighting against free radicals, while rehydrate and sooth the skin. Rich in natural botanical ingredients, anti-oxidants and brightening agents that helps stimulation circulation, restoring skin protective barrier. 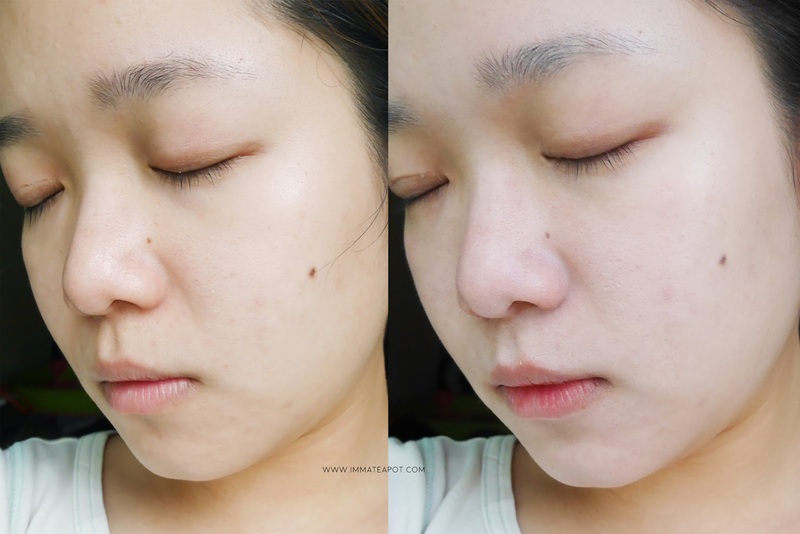 It helps reducing pigment production and improving uneven skin tone. To join giveaway, join here. 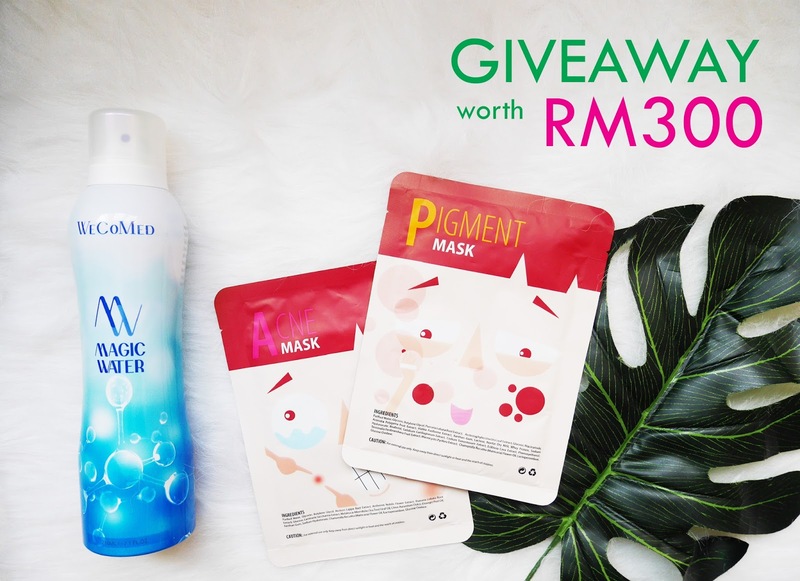 A good news that a combo set of Magic Remover, Sunblock, Acne Mask, Pigment Mask and Magic Water is now selling at RM199 instead of RM332! For more information, please feel free to visit WeCoMed on Facebook | Official Website. Aww.. too bad I have dry skin and can't join the giveaway. I owe the sunblock and the magic water. 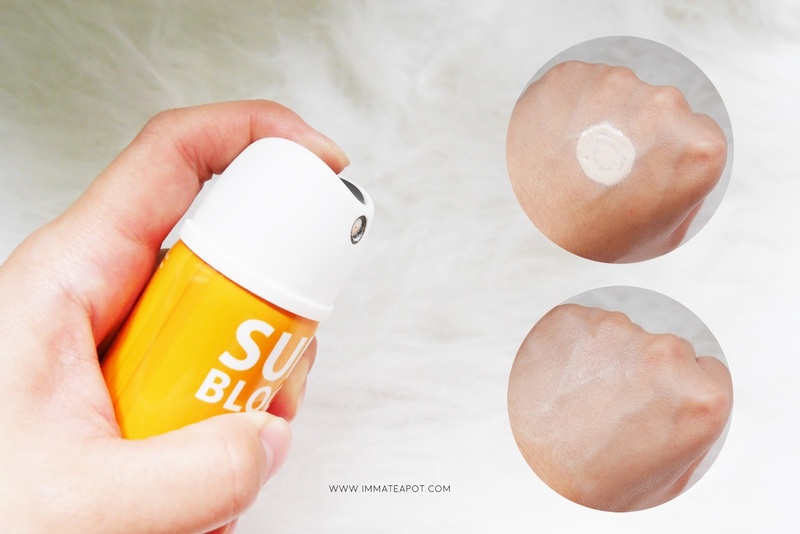 I love the sunblock so much as it blend well with my skin but don't over press. I need sunblock spf100 and above~ Cause always diving and swimming bahaha~ Good luck to those joinging giveaway too! The Sunblock really catch my eyes. I wanna try that too. The magic water mist caugh my attention. Will most probably give that a go. The magic water seems like an all-in-one solution, even in the mouth!! I wonder if they have a smaller bottle to try first. oh their mist is not bad. they have new products yay! Good luck or the contestants. The magic water seem great. Wish to try. Now I am crazy over face mist and thanks for sharing about this brand - so I will try to look into the Magic Water Mist. Wow! looks nice, i have not try this brand yet. Attracted to their face mask thou.